I am a researcher at the Database Systems Group, IBM Research Almaden (manager: Berthold Reinwald). My research mainly focuses on database management systems, specifically ML-enhanced database components, query optimization, indexing mechanism, storage management, and transaction processing. Recently, I am exploiting modern machine learning and hardware technologies to build ridiculously fast industrial-strength database systems. I received my Ph.D. degree in 2017 from National University of Singapore, where I was affiliated with the Database Group (advisor: Kian-Lee Tan). 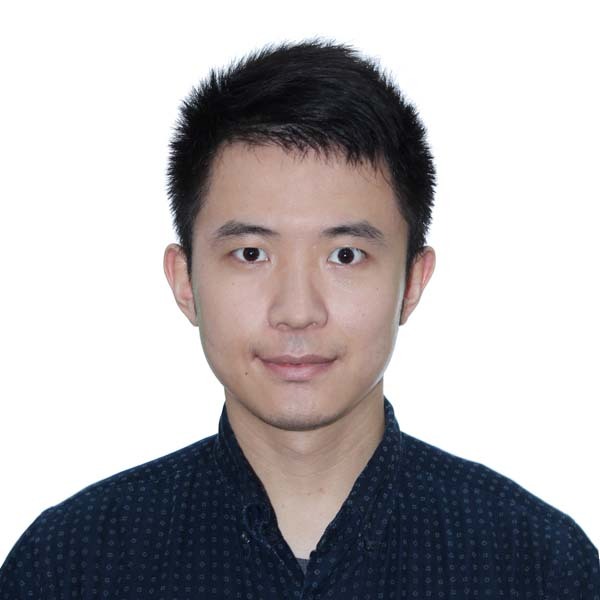 Previously, I was a visiting Ph.D. student at the Database Group, Carnegie Mellon University (host advisor: Andrew Pavlo), a research intern at the System Group, Microsoft Research Asia, and a research intern at the Cloud Infrastructure Group, EMC Labs China. I earned my bachelor's degree from South China University of Technology in 2012. I am enthusiastic to integrate research into real-world systems. I am a developer of a commercial cloud-native DBMS, IBM Db2 Event Store, and a key developer of two main-memory DBMS prototypes, namely Peloton and Cavalia. I was also an early contributor to Apache Flink. I am glad to review database/systems-related research papers! Thesis Committee: Bingsheng He, Yong Meng Teo, Alan Fekete. Yingjun Wu, Jia Yu, Yuanyuan Tian, Richard Sidle, and Ronald Barber. Yingjun Wu, Wentian Guo, Chee-Yong Chan, and Kian-Lee Tan. Yingjun Wu, Joy Arulraj, Jiexi Lin, Ran Xian, and Andrew Pavlo. Andrew Pavlo, Gustavo Angulo, Joy Arulraj, Haibin Lin, Jiexi Lin, Lin Ma, Prashanth Menon, Todd Mowry, Matthew Perron, Ian Quah, Siddharth Santurkar, Anthony Tomasic, Skye Toor, Dana Van Aken, Ziqi Wang, Yingjun Wu, Ran Xian, and Tieying Zhang. Yingjun Wu, Chee-Yong Chan, and Kian-Lee Tan. Yingjun Wu and Kian-Lee Tan. Zhou Zhao, James Cheng, Furu Wei, Ming Zhou, Wilfred Ng, and Yingjun Wu. Yingjun Wu, David Maier, and Kian-Lee Tan. Ziye Yang, Haifeng Fang, Yingjun Wu, Chunqi Li, Bin Zhao, and H. Howie Huang. A Deep Dive into the Compaction for Log-Structured Storage. IBM Almaden Research Center, San Jose, CA, USA, July 2018 . Building an Efficient Index Structure for Modern Database Systems. IBM Almaden Research Center, San Jose, CA, USA, June 2018 . Optimization Of OLTP Database Systems Through Program Analysis. Brown University, Providence, RI, USA, May 2017 . Building Faster Main-Memory Database Management Systems on Multicores. This is the Best Paper Ever on In-Memory Multi-Version Concurrency Control. Scalable In-Memory Transaction Processing with HTM. Carnegie Mellon University, Pittsburgh, PA, USA, June 2016 . Transaction Healing: Scaling Optimistic Concurrency Control on Multicores. ChronoStream: Elastic Stateful Stream Computation in the Cloud. National University of Singapore, Singapore, May 2015 . Manager's Choice Award, IBM Almaden Research Center, 2018 . Dean's Graduate Research Award, National University of Singapore, 2017 . Excellent Graduate Thesis Award, South China University of Technology, 2012 . Program Committee: SIGMOD 2018 (Demo), ICDE 2018 (Demo), EuroSys 2018 (Shadow), VLDB 2019, VLDB 2020. Journal Reviewer: JCST, TKDE, TPDS, VLDBJ, TODS, KAIS. CS3103: Computer Networks and Protocols. National University of Singapore, 2014-2015.